While the ruling was highly anticipated, it came as no surprise that The Court of Appeals unanimously held that the smell of marijuana during a traffic stop justifies an officer’s search of a vehicle. The decision handed down at the end of last week didn’t change anything, as law enforcement never stopped using the smell of pot to justify their searches. Rather the opinion will serve to temporarily put the issue to bed for at least a few years until it is rendered obsolete after marijuana is eventually legalized. The Court of Appeals opinion handed down last Friday was actually a combined ruling for three separate cases and spelled bad news for the defendants that had been anxiously awaiting closure. Two of the cases originated in Baltimore City, and the other began in Cambridge at the Dorchester County Circuit Court. In all three cases the defendants filed motions to suppress evidence including marijuana, cocaine, oxycodone and drug paraphernalia, which was recovered after police officers conducted an automobile search. 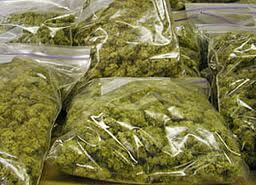 The justification for the searches was police officers allegedly smelling marijuana. All the defendants argued that at the time officers initiated the searches they did not have reasonable articulable suspicion to believe that the cars contained more than 10 grams of marijuana. Possession of less than 10 grams of marijuana was and still is only punishable by a civil fine, and therefore according to the defendants could not justify a search under the automobile exception to the Fourth Amendment. The circuit court judges were not persuaded by the defendant’s positions, and sided with the state’s attorneys who argued that despite being only punishable by a civil fine, small amounts of marijuana remained contraband. They argued that decriminalization and legalization are not synonymous, and therefore the presence of any illegal substance justifies a broader search. All three cases traveled to the Court of Special Appeals, which is Maryland’s intermediate appellate court. This court denied the appeals in unpublished opinions and then state’s highest court accepted the cases on writs of certiorari. Arguments took place back in December, and it did not take long for the Court of Appeals to hand down the disappointing but legally sound opinion. The problem with the outcome of these three cases does not rest with the legal opinion handed down recently from Annapolis, but rather with Maryland’s drug laws. We already have far too many defendants serving jail sentences for non-violent drug offenses and the criminal courts are clogged with drug possession cases. As long as marijuana is an illegal substance police officers will continue to focus on it when conducting traffic stops and citizen encounters. A large percentage of the population uses marijuana recreationally and thus the logical result of focusing on marijuana will be more arrests and criminal citations. And while law enforcement may point to all the other contraband such as narcotics and firearms recovered after a marijuana search, most of these searches simply yield pot. The thousands who suffer infringement of their right to be free from unlawful governmental searches is simply more important than a few gun and drug arrests. The Blog will continue to follow the evolution of Maryland’s drug laws, and as always we plan to closely monitor marijuana legislation. Benjamin Herbst is a criminal defense attorney who specializes in gun charges, possession with intent to distribute CDS and all other drug offenses. 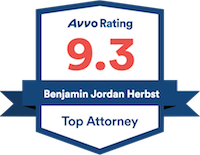 Contact Benjamin anytime 7 days a week for a free consultation about your case. State v. Robinson, State v. Williams, and State v. Spriggs, mdcourts.gov.